Spiral curl hairstyle can give a new edge to your beauty. 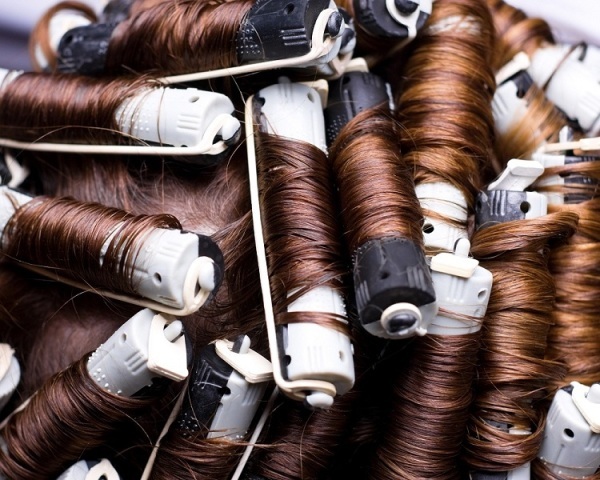 Read below to learn how to spiral curl hair. If you have admired the luscious curls of Beyonce and the ringlet curls of Shakira, then chances are that you may have also desired such a hairstyle. Well, this hairstyle is known as spiral curl, a really cool style with tight and bouncy curls. And what’s more, you don’t have to splurge on getting one nor do you have to sacrifice the texture of your hair. You only require curling irons and hot rollers for styling the hair and in a little under thirty to forty minutes, you can flaunt a hairstyle that is sure to grace you with envious stares and glowing comments. However, you should exercise extreme caution, because if you heat the hair too much, you may damage your luscious locks. So, take time and go slow. If you know how to work your hair with curling irons and hot rollers, then you may as well get started. Follow the tips on spiral curl hairstyle given below to give your personality the exuberance of spiral curls. First of all comb the hair thoroughly so that you remove any tangles. Then tie some of the hair in ponytail and leave the rest loose. Take a small strip of loose hair and starting from the very bottom, twist the curling iron from the hair firmly. Hold the curler for ten seconds. If the hair doesn’t curl after ten seconds then use the curler again. Turn the curler vertically, loosen the hair and then remove the curler, taking care to remove it vertically. In the same fashion curl all the loose hair. Make sure that you finish all the curls at the bottom of the hair. Lightly spray the curly hair with hairspray. Shake the curls and leave it for 30 seconds. Then put the curls in a loose ponytail. Now, loosen the uncurled hair from the ponytail. Brush and curl them as you have curled the rest. Apply hair spray on them and shake the hair. Then shake the curls by flipping the hair upside-down while spraying the hairspray lightly. Your spiral curl hairstyle is ready. Separate the hair into top and bottom section. Tie the top section of the hair with a hair clip. Set the rollers to heat. After the rollers have heated, in one hand take an inch section of hair. With the other hand, put a hot roller under the strip of hair and wrap the ends of the hair around the roller. Roll the roller with the hair towards the scalp. Secure the roller with a clip. Similarly, fix rollers in the entire bottom section of the hair. Release the top section of the hair and put them in rollers as you have done with the bottom section. Keep all the rollers for twenty minutes and then take them out one by one. Now, wrap each curl around your index finger and pull it down. This will make the curl spiral. Once you get the desired look, use a hairspray to fix the spiral curls. After all the hair has been spiral curled, use a hairspray once again. If you want to know how to spiral curl your hair, then the tips given above will be of immense help to you. Read and follow them carefully for the best results.